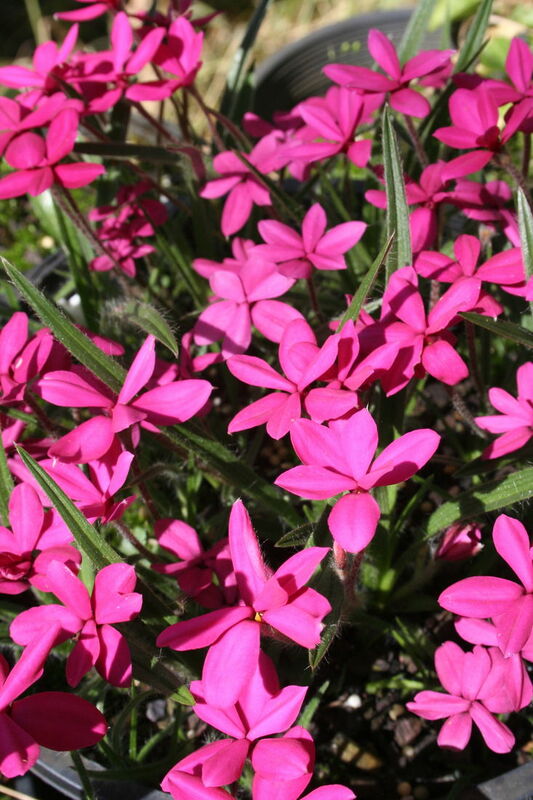 This genus contains about six species, of small tuberous-rooted perennials, from the South African Mountains. Only one species and its many varieties are common in gardens. They produce small grassy hairy leaves with numerous compact star-shaped blooms from white through to red in Summer. Blooming can last over a six week period. Loves a sunny spot and requires water once a week during Summer. Top dress early Spring with a complete fertiliser. Winter frost protection is advisable. Ideal for pots.